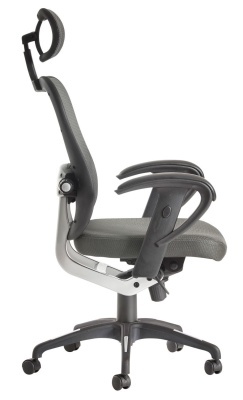 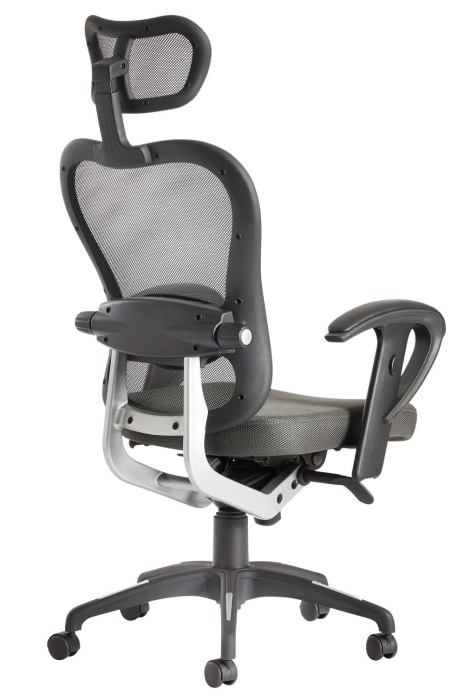 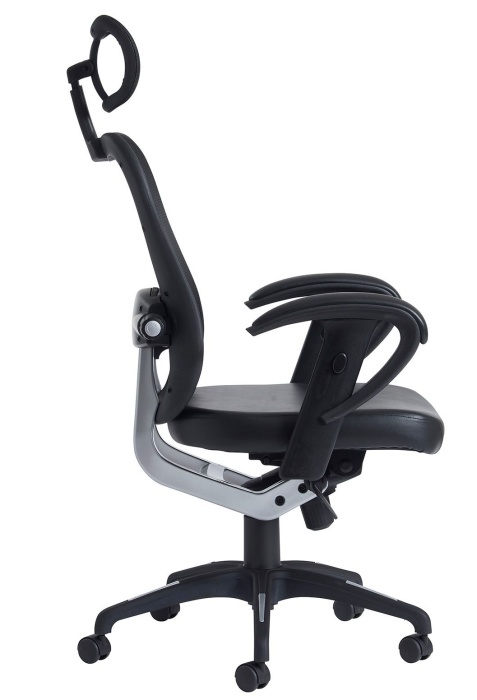 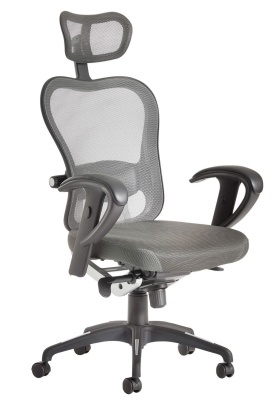 Ergonomic mesh task chair with a pivoting headrest in Grey or Black mesh. 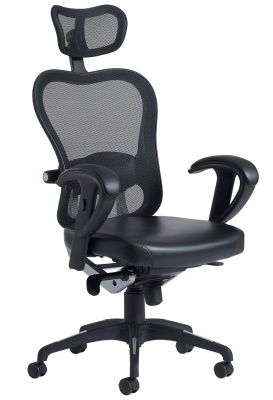 Comes with adjustable lumbar support and adjustable arms. 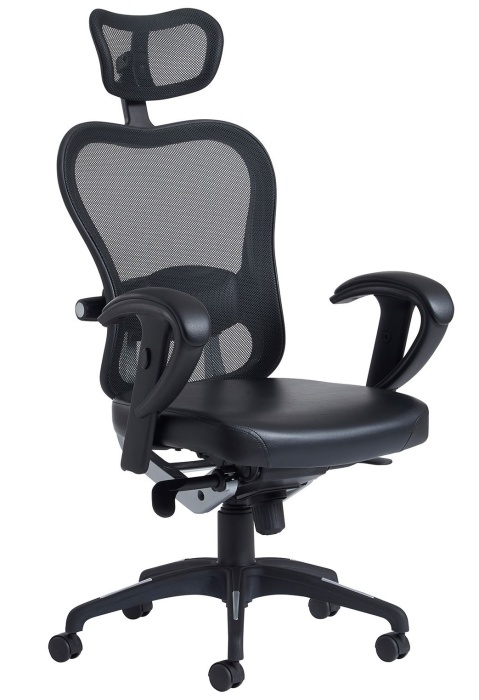 Black mesh version has a Black faux leather seat.